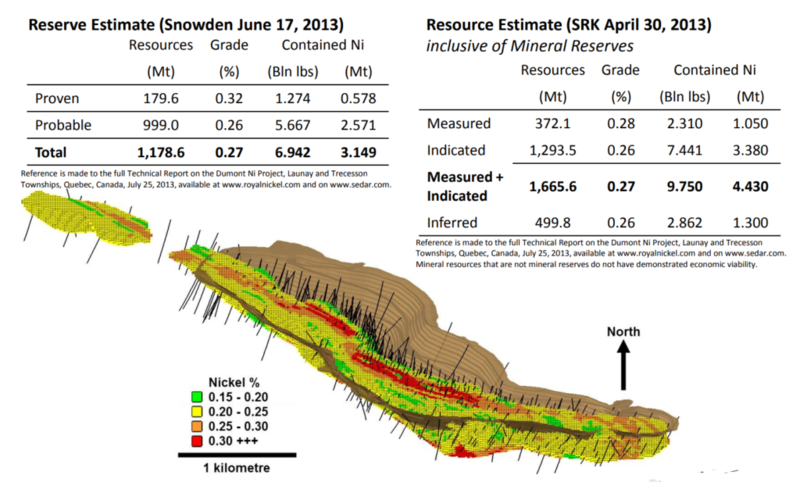 The Dumont Nickel-Cobalt Project is the 3rd largest nickel reserve in the world, the 5th largest nickel sulphide discovery ever (largest since 1960), and one of the largest cobalt resources outside of Africa. 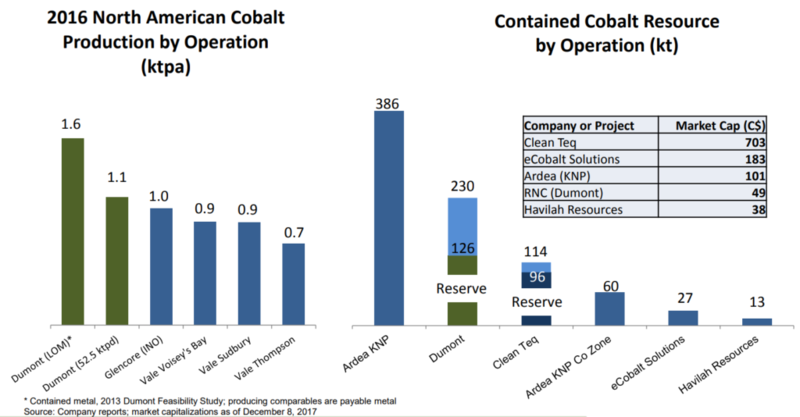 Additionally, the project is structurally low-cost, large-scale, shovel-ready, and once in production, will be the largest cobalt operation in North America. The jurisdictionally advantaged, fully-permitted and community-supported project will have a mine life of approximately 33 years with an initial production of 73 million pounds of nickel and 2.3 million pounds of cobalt contained in concentrate annually, with an expansion in year 5 to 113 million pounds of nickel and 4.3 million pounds of cobalt annually. RNC’s strategic alliance with Tsingshan led to the development of the first integrated nickel pig iron (“NPI”) plant to directly utilize nickel sulphide concentrate as part of the stainless steel production process through concentrate roasting. Roasted nickel concentrate is effectively a very high grade laterite ore feed which effectively creates a new source of demand for nickel sulphide concentrate, notably at a time when many NPI and ferronickel producers face feed shortages as a result of Indonesia’s nickel ore export ban. The Dumont Project is a 50/50 joint venture limited partnership with Waterton Global Resource Management, funded with US$35M in capital commitments to develop Dumont and acquire additional nickel assets, and backed by Waterton’s two largest funds with a total of US$1.725B in committed capital. The joint venture’s objective is to establish a pure-play nickel company with multiple projects operating in stable jurisdictions.